Introducing me | You're not alone!! As my first post to my new blog, I thought that I would introduce myself so that you know a little bit more about me and can connect with my blog a little better. I'm 21 years old, I am married and have a 9 month old boy called Eli, but before I go on let's go back to the start. It was a cold morning in the city of Almada. The wind was whistling and stroking the faces of men and women walking the streets on their way home from a night out. Inside a warm and cosy hospital room lay Maria, impatiently awaiting the birth of her baby boy as she heard a loud cry. It's a girl !! shouted the Doctor, to Maria's surprise. You see throughout her whole pregnancy she had been told that she was expecting a boy, which had been lovely news as that is what her 5 year old daughter had asked for, a little brother, so you can imagine the joy that her little daughter felt when she first lay eyes on this beautiful brown little baby GIRL. Yeah right hahaha. The little brown baby girl, let's call her... Melissa, turned into this beautiful and extremely nice young toddler, that turned into this hopeful 8 year old. Cue her move to Stoke-on-Trent, England where a one month holiday with her dad turned into 2 enlightening crucial formative years, but we can go into detail at a later stage. 2006 came and with it did another move, this time a permanent one to Northern Ireland, NI. Now fluent in English and accustomed to the british lifestyle (or so she thought, but NI is quite different to its overseas neighbour, England) the move went a lot more smoothly. Here, in NI, she had some of best years of her life, she finished primary school, got into a good secondary school, made the best friends she could ever have, had a boyfriend, got good grades in her exams and then time came to move on again. Although these had been some of the best years of her life, 2009/10-2014, the years between 2006 and 2008 were her most challenging years, but that's also for another time. 2014//2015 ; End, Start, University, Aberdeen, Engineering, Friends. Clubbing, Work, Learning. Those are the words that best describe that year. A lot of new experiences and learning opportunities both academic and otherwise. Now lets enter the most incredibe, life changing, preeminent years of the life of Mrs Jackson, 2015- 2016. Why were they so important you ask? well... she met her husband, she became pregnant with a little baby boy and she got engaged, all in that order hahaha. 29th July 2016, at 6h55 am, the world was graced with the beautiful soul of a boy named Eli (this time there was no mistake, the baby really was a boy). There are no words that could even begin to describe how that moment made her feel, makes me feel now. The greatest gift I have been ever so lucky to get. My life, my everything, Eli. She was lucky enough to be able to have the option of taking a year out of uni in order to be present for nearly 100% of the time in Eli's first year. This being one of the most crucial years for babies. They learn to be more independent. Walking, talking, eating on their own, trust, emotional bonding. Now let's bring you to today 29/04/2017, here I am sitting on our couch in our flat in Aberdeen writing up my first post on my new blog, watching Eli play with his toys and Rob, my husband, watching the tv. I have to say the last 18 months have been like no other, especially the last 9. They have been the most challenging yet rewarding months thus far in my short 21 years on this earth, and I wouldn't change it for the world. Now, I've spieled and gone on about the Life of Mel haha!! Leaving out most of the details to a later date, but why am I creating a blog and why should you read it? Well... I am a 21 year old Portuguese university student living in Aberdeen. I am also a mother, a wife, a daughter, sister, I grew up in Belfast, I have an African ancestry. Not all my life has been easy for me, we struggled for many different reasons. What I'm trying to get at is that there are many parts of me that I believe a good number of people could relate to, no matter the age, background or race. Some experiences I've had only some can understand but others are universal. I hope to help others through telling you my experiences and struggles and how I overcame them. I'm not perfect, far from it but if I could just help one person feel like they're not alone, I will have fulfilled my purpose for this blog. I also want to be able to share my interests and hobbies. 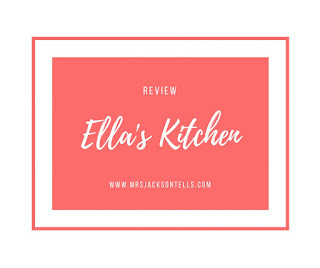 On this blog I hope to share experiences, struggles, recipes, reviews. Not all posts will suit everyone but maybe you'll find something that will. I want to take you all on this journey, the journey of my life and maybe we can all grow together.